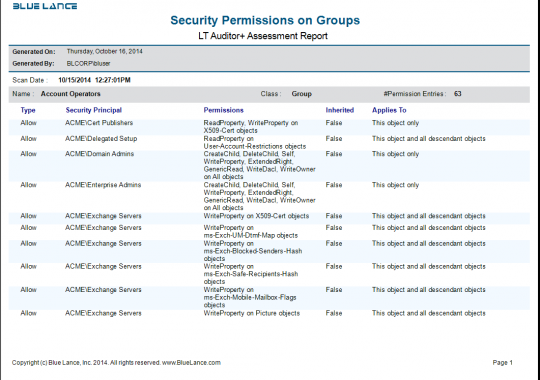 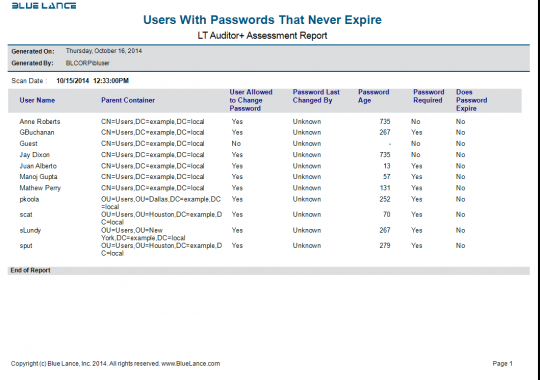 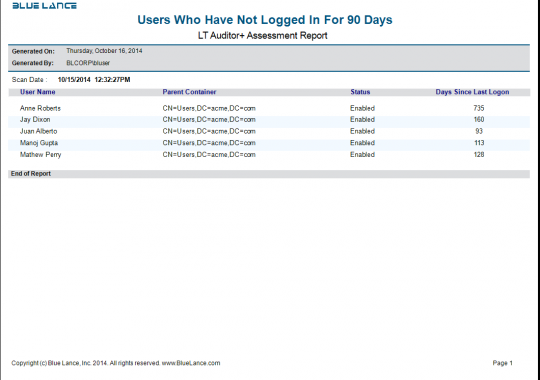 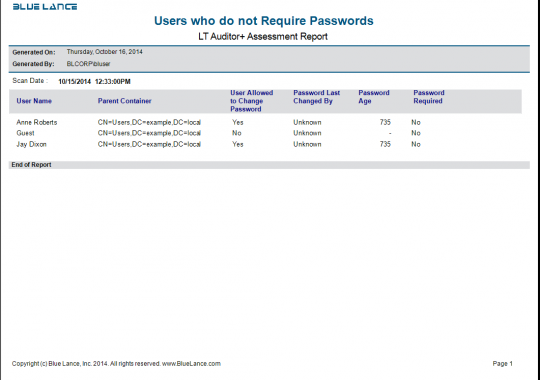 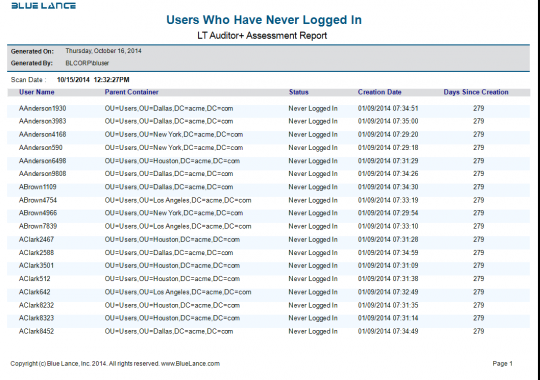 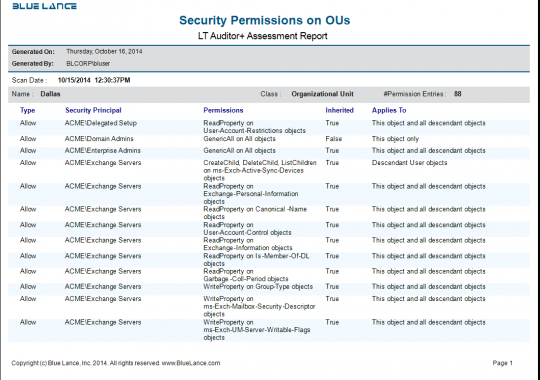 Analyze and audit configuration and permission settings for Microsoft Active Directory and Windows Servers with LT Auditor+ 2013 for Windows Assessment. 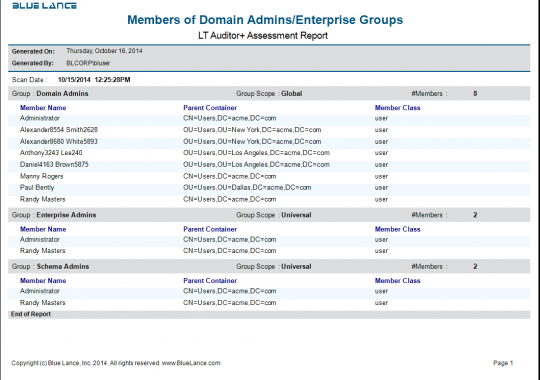 This application can be easily setup to periodically scan and collect data on Active Directory Users, Groups, Organizational Units, Files and Folders. 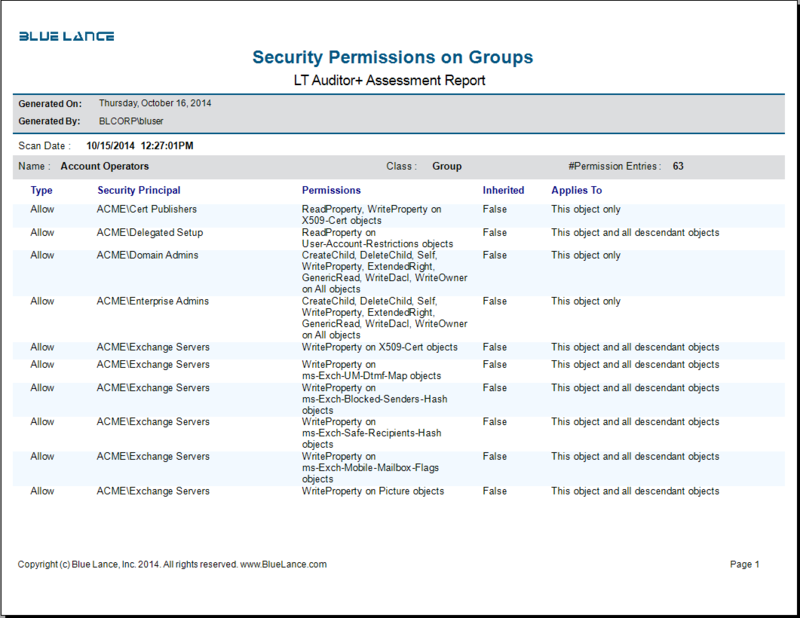 This scalable solution provides capabilities for compliance and security assessments, documenting users with excessive permissions and identifying security vulnerabilities. 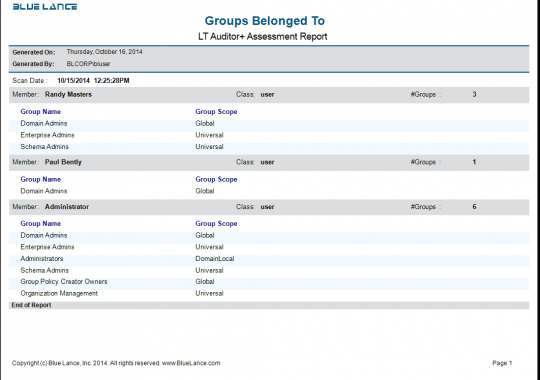 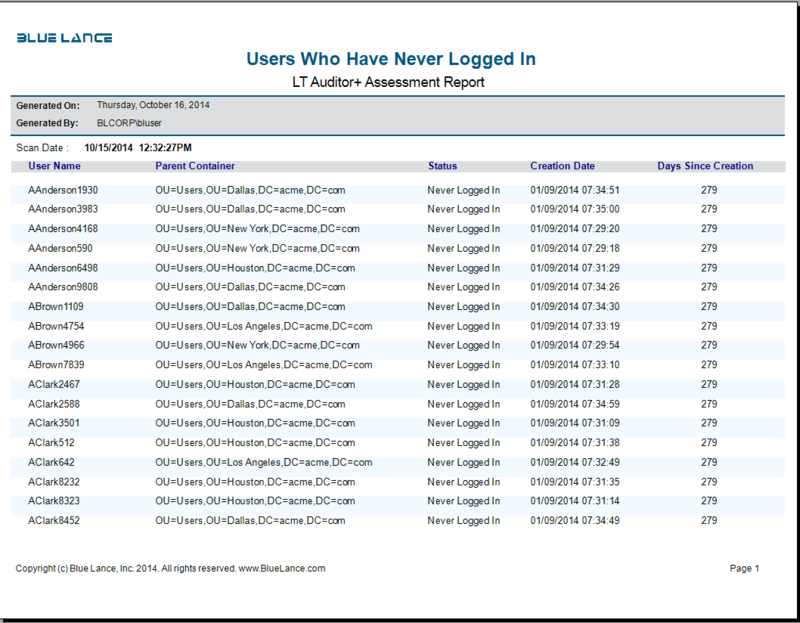 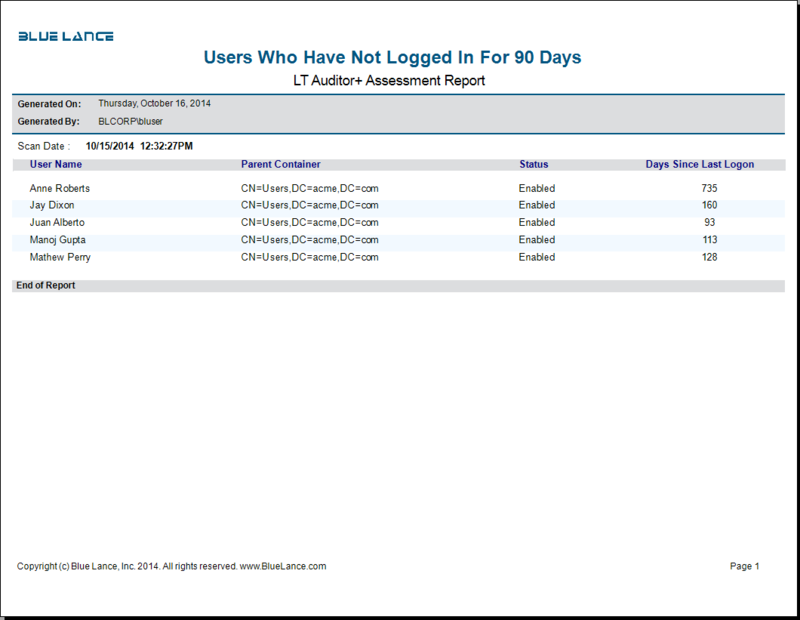 Several predefined report templates are available to quickly gain insights to issues that need remediation. 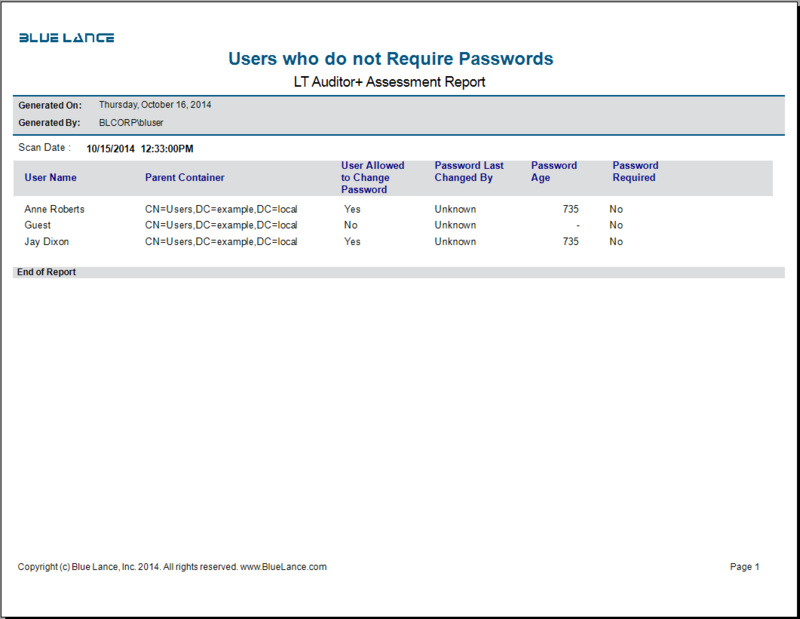 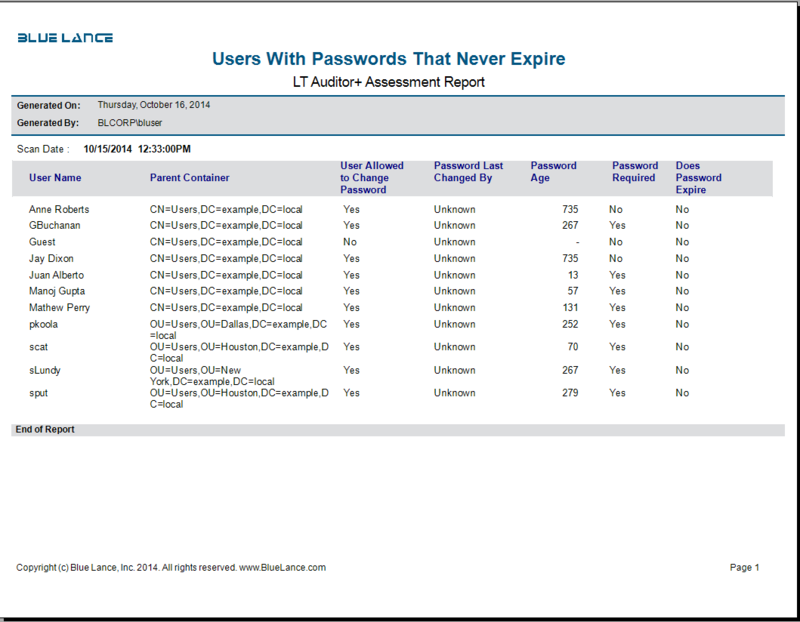 Enhanced Visibility – Bridge the collection of Windows assessment data on permissions and configuration settings of entities within Active Directory with who made these changes to assure compliance with policies and provide accountability. 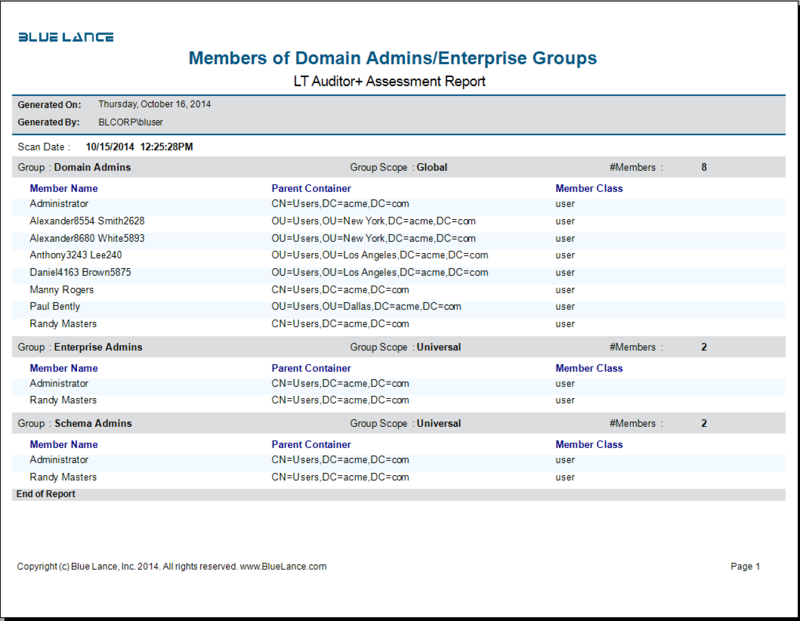 Extensibility – Designed to address any IT audit and assurance requirements by allowing customizations to fit any business. 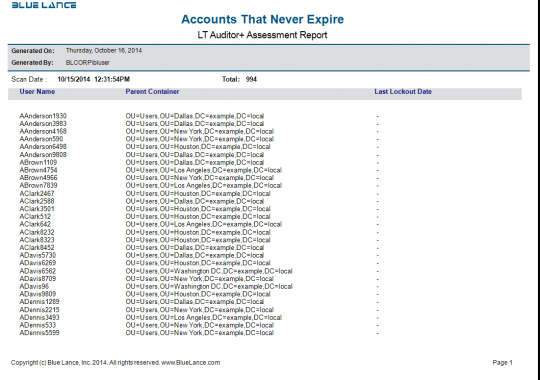 Data Quality – Powerful querying capabilities to deliver easy to read reports that are clear and concise. 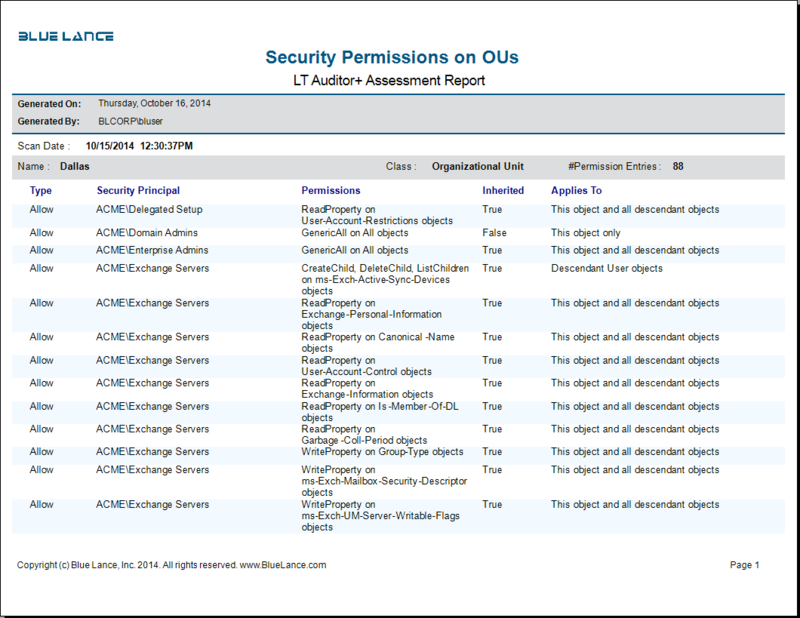 Least Privilege – Identifying excessive permissions to comply with principles of least privilege and “need to know”. 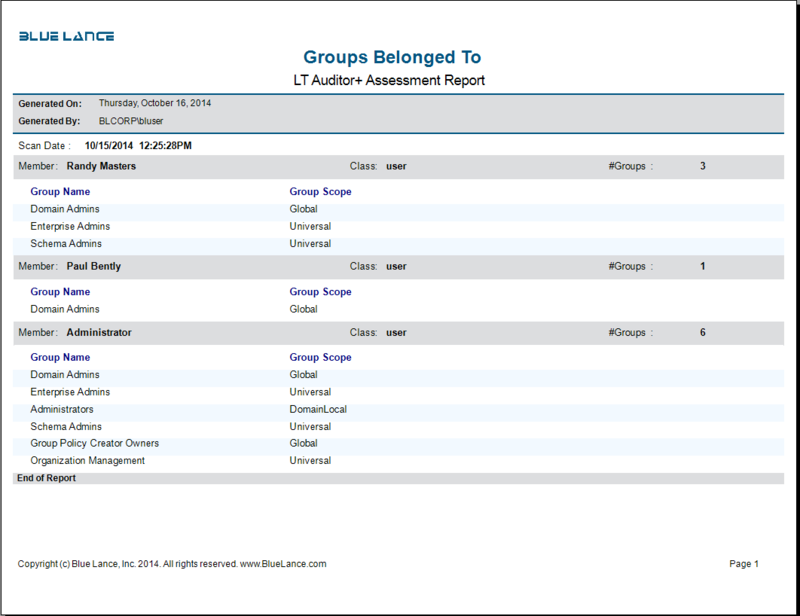 Data Ownership – Quickly identify data owners to assist with classification of sensitive and critical information. 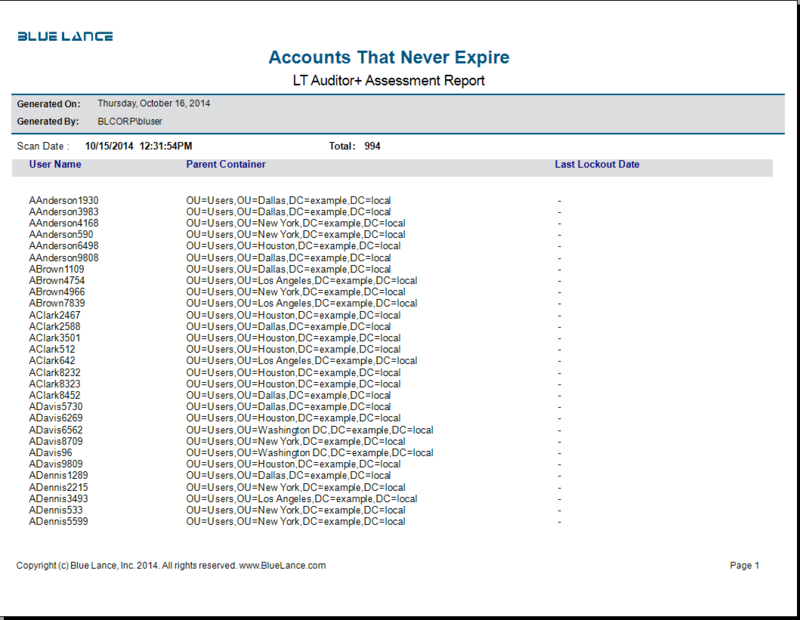 Customize Reports – Create customizable reports with advanced filtering that can be exported to multiple formats like PDF, HTML, CSV, EXCEL.